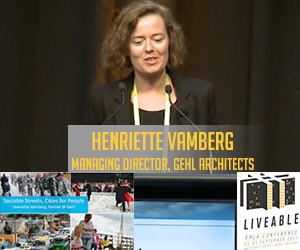 Henriette Vamberg Managing Director, Gehl, reflects on her unique perspective on liveable cities gained from her work at Gehl Architects in cities around the world, and outline where she thinks New Zealand cities should focus on in order to improve liveability over the next decade. Henriette leads the work focused on city transformations at Copenhagen’s leading design firm Gehl. Since starting at Gehl in 2000 she has worked with a number of public and private clients and has led many of the major projects that have been developed at Gehl in UK, China, USA, Russia, India, and the South Pacific. Henriette graduated from Jan Gehl’s Urban Design Department. Henriette Vamberg’s keynote speaker presentation #Transformation was proudly sponsored by Isthmus.